I can confirm that should you ever find yourself on stage playing the bass guitar with three left hands, it is usually the one in the middle that is the real one. The other two are probably phantoms. 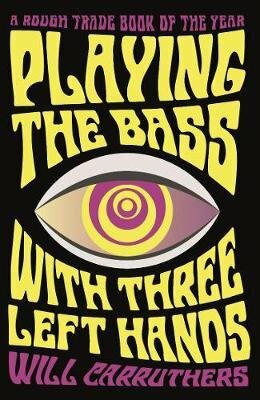 Playing the Bass with Three Left Hands tells the story of one of the most revered British bands of the 1980s: Spacemen 3. As the decade turned and acid house hit the mainstream, the band imploded spectacularly, going their separate ways just as they were on the cusp of breakthrough success. Here, Will Carruthers tells the story of his time in a wholly dysfunctional yet hugely influential band, in one of the funniest and most memorable music memoirs.